A solicitor has been struck off after taking hundreds of thousands of pounds in client money and covering his tracks by forging a host of documents – from bank statements to building regulations certificates – and also falsifying leading counsel’s opinion. The Solicitors Disciplinary Tribunal (SDT) found that Andrew John Davies had even used client funds to make payments to beneficiaries under his late law firm partner’s will that he was meant to make personally. His activities were only stopped when RBS contacted the Solicitors Regulation Authority (SRA) to report that the firm’s office and client account had been frozen due to two suspicious transfers from client account to Mr Davies’s personal bank account. Mr Davies, born in 1984 and admitted in 2008, was a partner in Manchester firm Robert Meaton & Co from May 2009, and was the senior and only equity partner from December 2012 – when the eponymous Mr Meaton died – until the firm was closed down by the SRA in August 2014. The regulator found that £833,450 was missing from client account. None has been repaid. The tribunal found that Mr Davies created fictitious user IDs on his firm’s systems to pay clients’ mortgage monies to his own personal bank account. He also improperly transferred money from client to office account. 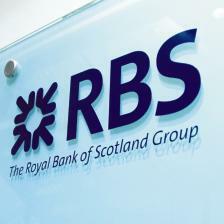 The SDT found that he had lied to RBS, lied to the SRA and lied in claiming that the firm’s accounts had been hacked. It continued that Mr Davies had produced false bank statements to both clients and the SRA purporting to show that various monies had been paid, along with false emails, and had sent RBS’s solicitor 29 faked building regulations certificates for a deal he was working on. Mr Meaton’s will gave the solicitor’s interest in the firm to Mr Davies on the condition that he pay £170,000.00 to his estate over four years in equal installments. The SDT found that he used client money to pay the first £42,000. It went to rule that Mr Davies had falsified emails that purported to show that he had paid outstanding barristers’ fees, but that he had only sent these to his employees rather than the chambers involved, meaning that the charge – which stated that he had misled his employees and chambers, rather than ‘and/or’ – was not proven. The solicitor was also found to have produced a fake QC’s opinion on a stamp duty land tax avoidance scheme to a tax consultant client, which as a result promoted that scheme. The SDT concluded that Mr Davies was “entirely culpable for his actions”, continuing: “It appeared that the motivation for his conduct was for personal, financial gain. He wanted to gain the interest in the firm that he had been left, subject to payment, without paying for it and he was stealing money from clients and paying it into his personal account. “The tribunal did not know what harm had been caused to [the tax consultants] who relied on the forged SDLT opinion but the potential was very great. Had the forged building control certificates entered into circulation, significant harm would have been caused. Mr Davies, who did not engage with the tribunal proceedings, was also ordered to pay £66,000 in costs.